Allows users to share their opinions and experiences of a service. Allows the business to open dialogues with their customers. But, some customers might not know how to leave a review. 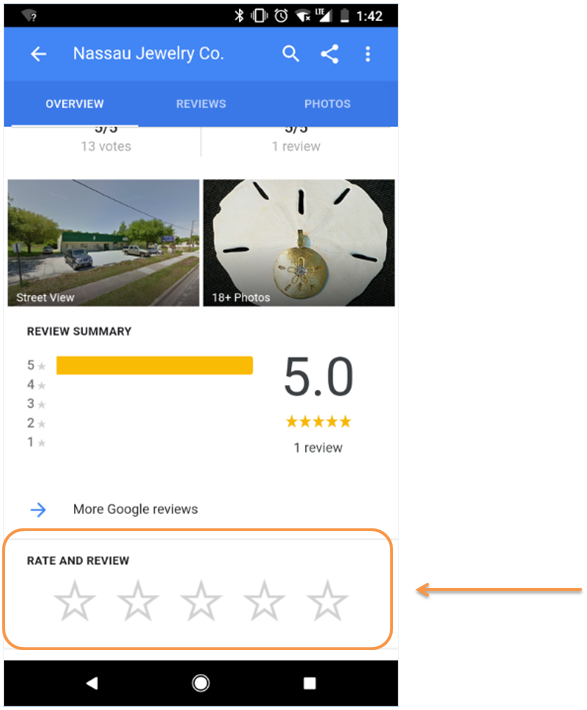 The following article provides instructions on how to leave a review for a business on Google or Facebook using a Desktop or Mobile device. Determine which product you want instructions for, then click the appropriate link for either Desktop or Mobile. 1. Click here to sign into your Google account. Your review is published in the reviews section of the business listing. 1. On your mobile device, search for the business on either Google Search or Google Maps. 2. Scroll down and select the section to leave a review. 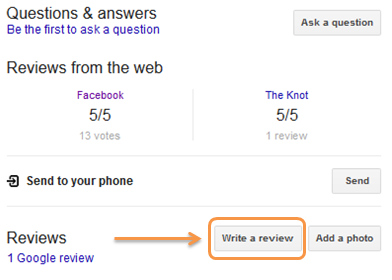 You may be asked to sign in to your Google account before you can leave a review. 3. Enter your review and select the number of stars you would like to leave, then select Post. Note: The business may not have the reviews enabled. 1. Click here to log in to your Facebook profile. 2. Search for the business on Facebook. 3. 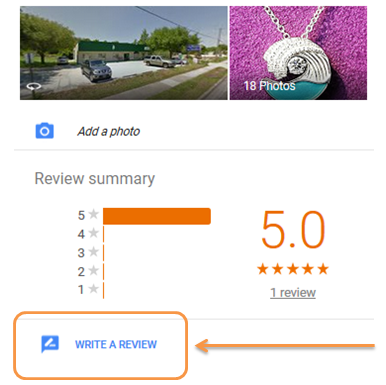 On the left side of the page, select the Reviews option. 4. At the top of the reviews section, select the number of stars you would like to leave for your review. 5. Leave your review in the text box and click the Done button. Your review is published in the reviews section. 1. Click here to log in to your Facebook profile..
2. Click the Search icon. Then enter the business name to search. 3. Select the Review option under the business name. 4. 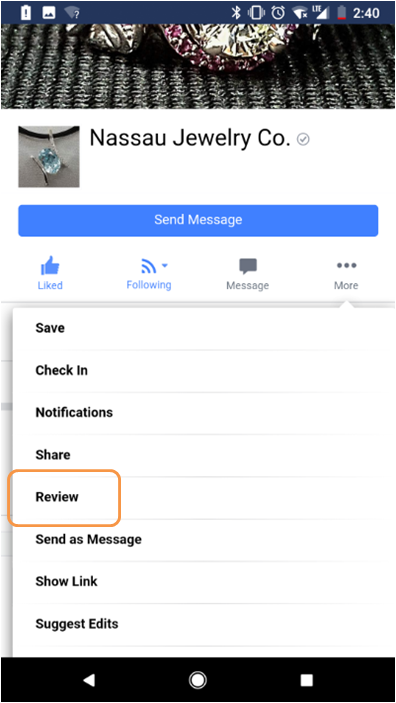 Leave your review in the text box and select Post. 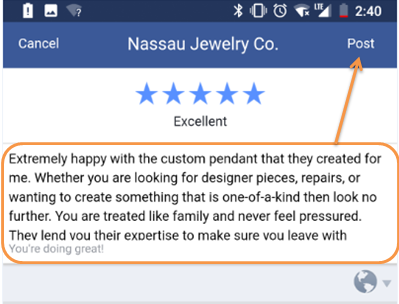 Web.com—How Do I Handle Neutral or Negative Reviews for My Business Listing? 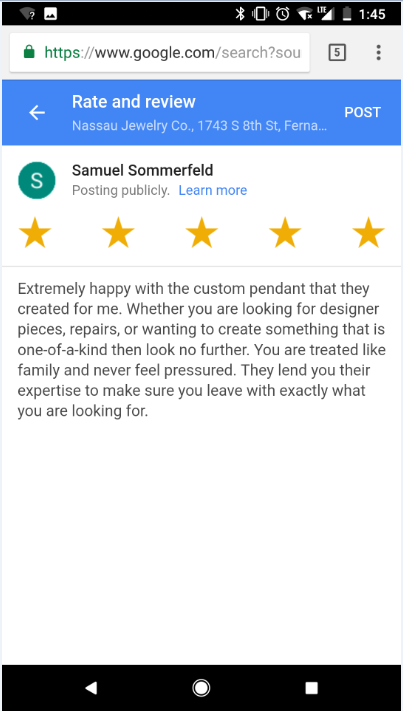 Web.com—How Do I Handle Positive Reviews for My Business Listing? Web.com—How Do I Solicit Reviews for My Business?